Ah, the month of December, when thoughts turn to mistletoe, eggnog and excruciatingly painful trips to the mall. 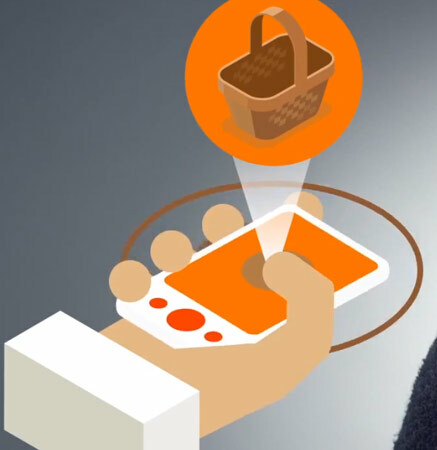 However, Android users could find solace in Google’s recently launched “surprise calendar countdown” giveaway program that promises a daily store offer until January 1st, 2013. Of course, this sort of promo isn’t unusual this time of year — the Mountain View company offered a ten apps for ten cents sale last year and Apple’s done the freebie thing over on the iOS side — but Google appears to be upping the ante this time with extra deals. 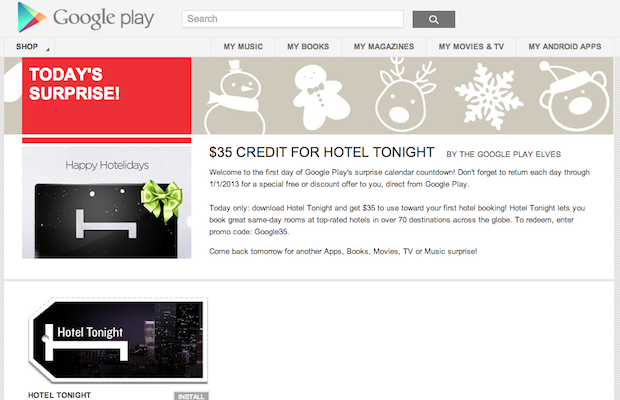 For example, if you download the free Hotel Tonight application today, you’ll also get a $35 credit to be used toward a hotel stay if you use the “Google35” promo code. Sure, that won’t exactly pay for a night on the town, but it might be enough for room service. We’re not sure what other offers are in store, so we suggest checking Google Play every day from now until the new year for a bit of holiday cheer. IBM thinks cognitive computers that can adapt to their surroundings will be a large part of our future, and that their ability to take unprocessed data and find patterns in different environments will augment our sensory interactions with our surroundings. While many of us associate haptic feedback with video game controllers, IBM says that we’ll soon be able to use variable vibrations to feel physical textures while, say, shopping for garments on our mobile devices. If shopping is too material for your tastes, imagine farmers being able to touch their crops out in the fields to remotely monitor the harvest’s health. On the chemosensation front, scientists envision phones that can detect biomarkers in our breath that may predict when a cold is coming, before you get your first sniffle (and it might be Dr. Watson making that diagnosis). While some of this seems even a bit far-fetched to us, it’s inspiring to see what the researchers at IBM are thinking up. Check the videos in the source below to see what else could be in our future, and let’s check back in December 2017 to see how far we’ve come. This entry was posted on December 17, 2012, 5:36 pm and is filed under Mobility. You can follow any responses to this entry through RSS 2.0. Both comments and pings are currently closed.